This week’s pick is one of my favorite jazz blues tunes, ”Sandu,” written by the majestic trumpeter Clifford Brown, and in this case recorded by the awe-inspiring duo of Woody Shaw and Freddie Hubbard. 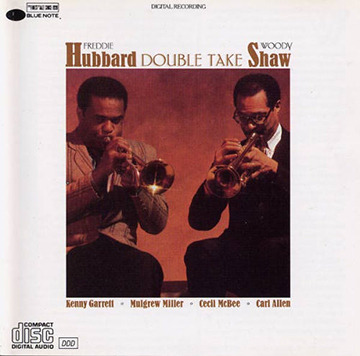 It’s from their 1985 duo album ”Double Take,”and features Shaw and Hubbard on trumpets, Kenny Garrett on alto sax, Mulgrew Miller on piano, Cecil McBee on bass and Carl Allen on drums. Shaw takes the first solo, and after the 16th-note line he rips in his third chorus I can just picture him taking the horn off of his face and grinning at Freddie, like “How ‘bout that?” Freddie, of course, rises to the challenge, but I think I still dig Woody’s solo better. It’s interesting to note that Miller was only 30 years old at the time of this recording, Garrett was only 25 and Allen was 26. McBee was the senior sideman, at 50. He’s one of my favorite bassists, and as we were watching a DVD of Blue Note records’ anniversary concerts in New York, McBee was featured with, I think, Roy Hutcherson, and Nancy said “He reminds me of you.” Quite a compliment, which I take with a grain of salt, but he’s definitely one of the cats I model my playing on. 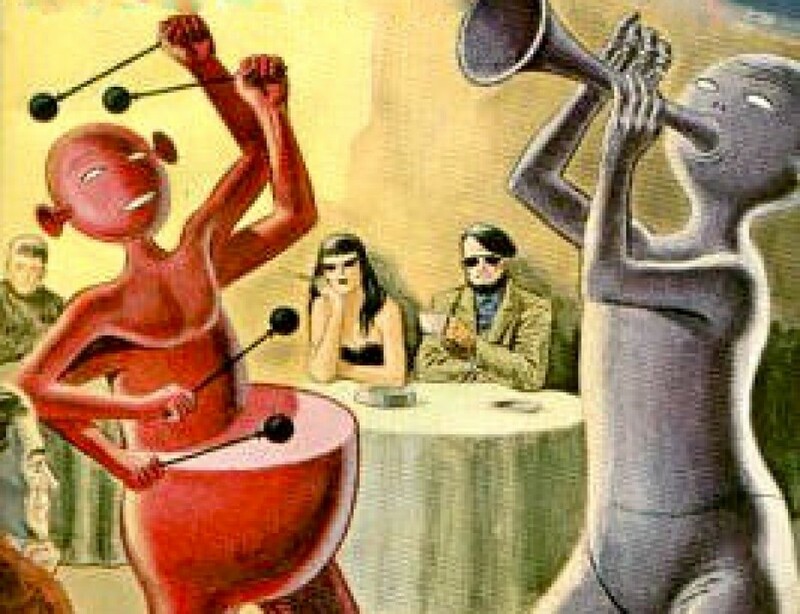 Longtime readers may recall that although I’m strictly an electric bass guitarist, unlike most bassists my age my first gigs on the instrument were bebop gigs, rather than the path usually taken by pork-chop players (whose first gisg were usually rock or blues or r and b gigs). The bassists I listened to as I was learning how to play were Cecil, Ray Brown, Ron Carter, Paul Chambers, Percy Heath, Mingus, Keter Betts, Jim Hughart, Stanley Clarke, Nils Henning Orsted-Pederson and Dave Holland (would that I had absorbed more than I did!). Sad to think that within 4 years Shaw would die. Freddie died in 2008, after a celebrated career that spanned post-bop, free jazz and fusion, and I’m glad that I had a chance to at least meet him, if not play with him. I first became aware of Shaw when he released his ”Rosewood” album in 1978, when I was still a new jazz listener. I loved his playing, being an ex-trumpeter, but his harmonic sophistication was probably beyond me at the time (probably still is). Tragically, he was only 45 when he died, and hadn’t achieved the fame he deserved, although he was considered a trumpet player’s trumpet player.